Most breaking news stories, especially ones based on law-enforcement sources, tend to be contradictory, confusing or incomplete. That’s because reporters are chasing for scraps of information, which may or may not be right depending on the quality of the sourcing. It usually takes a few days — or weeks — for a complete and accurate picture to emerge. FBI Director James B. Comey’s announcement Friday that new emails had been found that might be relevant to the Hillary Clinton investigation is a good example. His letter to Congress was cryptic, forcing reporters to scramble for additional explanation. The announcement came 11 days before a highly charged presidential election, leading to political spin on both sides. Here are answers to some key questions. We will update this as additional, credible information emerges. I haven’t paid much attention to the news. What happened? As part of that probe, Comey said, the agency had examined every possible work-related email it could find, including reconstructing fragments of emails found on an abandoned server. On Friday, Oct. 28, Comey sent a letter to Congress saying additional emails that might be relevant to the investigation had been found. What do we know about the new emails? Not much. In fact, it does not appear as if the FBI has yet examined them in depth. Comey, in his letter, said the new emails “appear to be pertinent” to the earlier investigation. He also added the FBI “cannot yet assess whether the material may or may not be significant,” including whether the emails contained classified information. Translation: Once the FBI examines the emails, it may discover these are emails that have already been reviewed in the earlier probe. Alternatively, these could be fresh emails that had been missed in the first investigation. Even then, they may or may not have classified information. How many emails are there? There is no precise number, but news reports have said there are more than 1,000. It is unclear whether that number means actual email chains or individual emails. How did these emails get discovered? Law enforcement sources have told reporters that the emails were found on a computer that belonged to former congressman Anthony Weiner (D-N.Y.) and his estranged wife, Huma Abedin, who had been Clinton’s deputy chief of staff at the State Department. The computer had been seized as part of an underage sexting investigation of Weiner, conducted by prosecutors in the Southern District of New York. The prosecutors investigating Weiner obviously had not been part of the Clinton probe, but apparently once they found State Department emails on the computer, they notified FBI headquarters. Now the investigators who had been part of the Clinton probe will need to comb through the emails found on the computer to determine whether there is anything new in them. News organizations have reported conflicting information about the nature of the emails. They apparently include some Clinton-Abedin exchanges, but even that has not been confirmed. How would State Department emails end up on Abedin’s computer? Abedin had previously told the FBI that when Clinton requested a printout of an email, she would send it to one of two personal accounts because it was too clunky to use the State Department’s system. She told the FBI that she also had maintained an email account for support of Weiner’s campaign activities. It is unclear whether these emails were on an account that had not been disclosed to the FBI or if (and how) they ended up on the hard drive of the computer. Abedin has previously testified that she turned over to her attorneys all devices that she believed contained government work: two laptops, a BlackBerry and some files in her apartment. What’s the legal risk for Clinton? Recall that Comey said that the FBI could not find evidence of “clearly intentional and willful mishandling of classified information.” If it turns out that the emails had been previously reviewed, there would be no liability for Clinton. Even previously undisclosed emails, especially ones not in Clinton’s possession, would not necessarily change that calculation. The earlier investigation also focused on Clinton’s closest aides, so Abedin may face new scrutiny if it turns out that she stored classified information on a personal computer. When Abedin left the State Department, she signed a form, known as OF-109, saying she had turned over all classified information. There are different levels of classification. About 2,000 emails in the Clinton probe were not classified when they were sent, but were “up-classified” to the low-level “confidential” classification after a review by intelligence agencies. But, Comey had said, “110 e-mails in 52 e-mail chains have been determined by the owning agency to contain classified information at the time they were sent or received,” including eight that were deemed Top Secret. In any case, government officials are supposed to know whether they are in possession of classified information, whether or not it is clearly marked. Was the investigation “reopened” as Republicans claim? This is a bit of a semantic dispute. The investigation had not been officially closed, but it had certainly been completed. Comey’s letter was intended to alert Congress that information had been found (the emails on the computer) and the FBI needed to assess whether they are relevant. If it turns out these emails had been previously examined, the FBI would then determine they were not relevant. But if the emails actually had not been discovered in the initial investigation, then the FBI would make it active again. In any case, from a political perspective, the email issue is “reopened” for Clinton. Did Comey only write to Republicans as Clinton claimed? That’s wrong. Comey addressed the letter to the Republican chairmen of the relevant committees, but he cc’ed the ranking Democrats on the second page. A Clinton spokesman said she misspoke, having focused on the first page of the letter. Did Comey have to issue this letter now? That’s a judgment call. 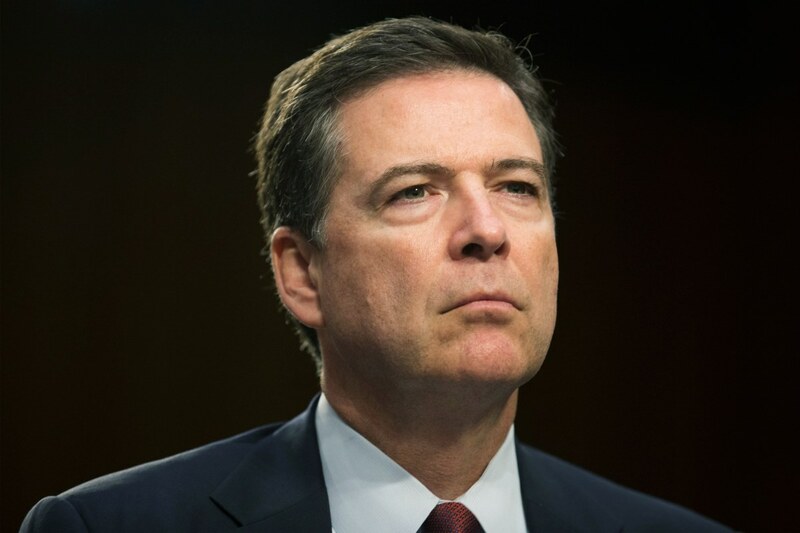 Comey, a Republican, was appointed three years ago by President Obama to a 10-year term, so in theory he is immune from political considerations. The Justice Department advised him not to make this new information public so close to the election, saying it was against government policy. But if he did not make it public, the information may still have leaked, especially as prosecutors would need court permission to use information seized in the Weiner probe in a separate investigation. In his letter, he referenced the fact that he had testified that the probe into Clinton’s email server had been completed, and he wanted to update his testimony. The FBI “cannot yet assess whether the material may or may not be significant."